Copy the text and Right Click with your mouse in the VPS window to Paste it. This update will cause your Blockchain to synchronise again from Block 0. 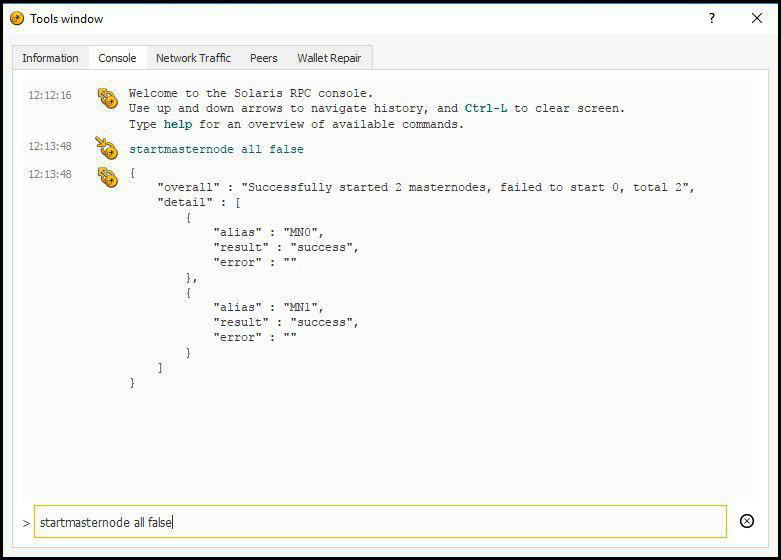 You must wait until it is completely Synchronised before launching the masternode from your local wallet. 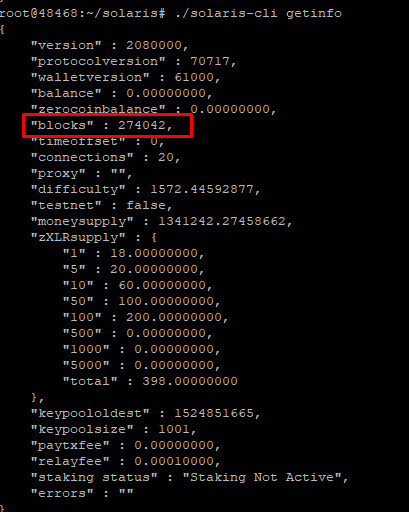 To check the current block height, enter these commands 1 by 1. Go to https://solaris.blockexplorer.pro/ and check that VPS “blocks” is the same (or very close) as the latest block in explorer. MAKE SURE YOUR VPS IS SYNCED WITH THE CHAIN. Use the ./solaris-cli getinfo command to check the progress. You can now close the VPS window if this looks correct. Check if the protocol version is “70718” and if active time is going up. You might have to wait for 15-30 minutes and press “Update Status” to see the active time update. Allows up to 36 hours to start receiving rewards again. 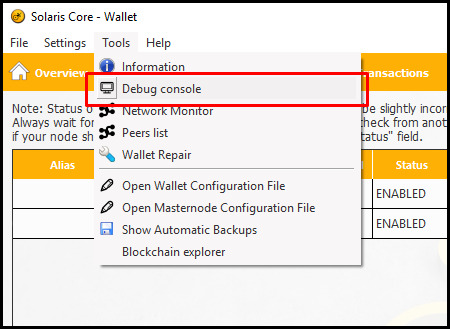 You can now close your local wallet and Putty. The VPS will do all the work for you!